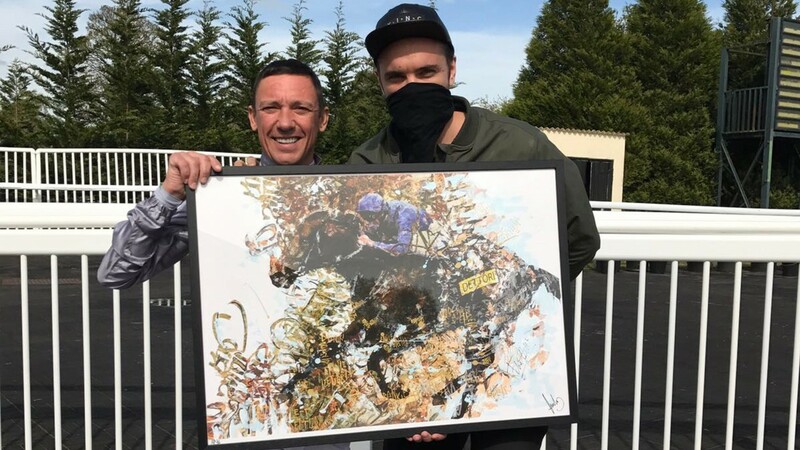 Frankie Dettori and the artist Endless have teamed up to create a one-of-a-kind portrait that will be sold privately to raise money for testicular cancer. The artwork, signed by Dettori, has an estimated value of £20,000 and the full sale amount will be donated to charity. Endless is known internationally for his edgy and provocative artwork, which has garnered a string of high-profile fans, including supermodels Kate Moss and Winnie Harlow, footballer Daniel Sturridge, as well as Brooklyn Beckham. Dettori says: “I have a deep affection for British culture and Endless’s work encapsulates everything that’s great about it. The portrait he has done for me is stunning and, although the original will be sold to raise money for a great cause, I’m happy I was able to receive a signed print to hang in my home. Endless’s next public show will take place on Wednesday at the Chelsea Waterside ArtSpace. Anyone interested in attending should email info@bodhan.co.uk. Commentators have been very much in the news of late, with Dessie Scahill and our very own Tony O’Hehir having to wrestle with 14 Gigginstown runners in the Irish Grand National. That did not lead to a retirement, but a longstanding caller who has hung up his mike is Greg Miles. 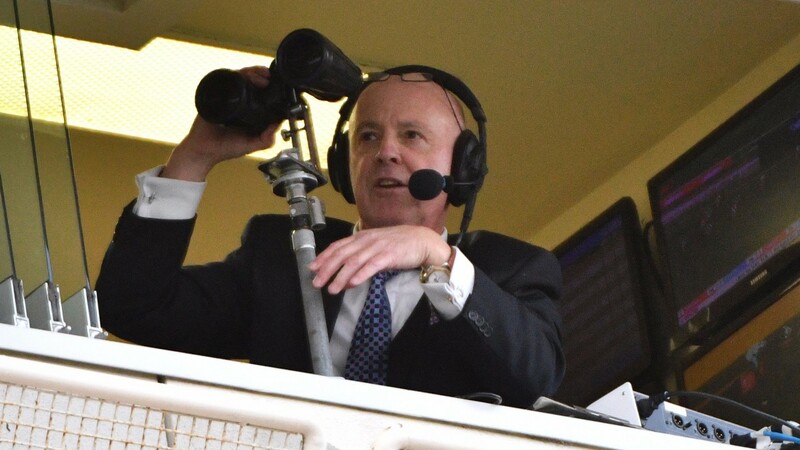 After almost four decades of service in Victoria, Australia, he signed off as a commentator at Caulfield, his final-race description coming in the Bravo Greg Miles, named in his honour. Miles commentated on his first Melbourne thoroughbred meeting in December 1979 and has called a record 36 consecutive Melbourne Cups. He has also called the same number of Cox Plates and Caulfield Cups. In a presentation during last Saturday's meeting, Miles was awarded life membership of the Melbourne Racing Club. "The past 37 years or so have gone so fast and it seems to have happened in a blur really," says Miles. “I think it's the right time to be calling it quits. I'm more than satisfied with the decision I made." Miles, who in a nice touch is being replaced by Matt Hill, who idolised him as a kid, says he was humbled by the well wishes, accolades and media attention his final meeting as a race caller generated, and what he describes as an "almost embarrassing farewell tour”. Never mind a Good News Week, it’s a Good Shoes Week as far as Aintree are concerned after they announced the results of their Best Shod awards. Introduced in 2015, they are part of the track’s equine welfare initiatives at the Grand National meeting. The runners in the three races over the National fences were judged by leading farrier and member of the Worshipful Company of Farriers, Jim Blurton. Blurton says: “Our objective is to highlight the need for quality shoeing and to endeavour to raise standards across the board. “I was impressed with the quality on show and was delighted to select the three winners, who were ­outstanding. The winners were Tom Morgan (Decade Player in the Foxhunters’), John Benfield (Ballykan, Topham) and Charlie Sands (Drop Out Joe, Grand National). The Craven meeting – well, at least two-thirds of it – returned to terrestrial screens; good on ITV for making that call . . .
Tepin was retired – the significance of the US-trained mare’s Queen Anne victory will be felt for many seasons to come . . . The future of Musselburgh is in some doubt after an outbreak of civil war between the two sides responsible for the local authority-owned track . . .
Grand National specialist Paul Moloney has retired aged 38; the Hennessy and Welsh Grand National were his two biggest wins, with Moscow Flyer the best horse he rode . . .
Barry Geraghty broke his arm in a fall from Minella Foru in the Irish Grand National. After an injury-hit season, he deserves another kind of break . . . The British Racing School on Wednesday launched its cycle ride at Newmarket, which will take place between May 28 and June 3 and raise money for the Rory MacDonald Memorial Fund . . .